A rising middle class could turn the affordable housing sector into the next African property boom. For the past two decades, real estate investing in general and the listed property sector has grown rapidly in South Africa – and that growth has spread across the African continent. However, low-cost housing as a subsector of residential property has not made a strong investment case. Developers have recognised that while many African countries have been in need of better-than-adequate housing for growing populations, retail and office properties have looked less risky and appear to require less operational attention. Even industrial property, which can struggle in economies that lack new manufacturing businesses, has tended to be preferred to residential property and its various subsectors. The largest African listed property market is in South Africa. Historically, it has had little exposure to residential property and fund managers have struggled to find investable quality assets with enough scale for a listing. 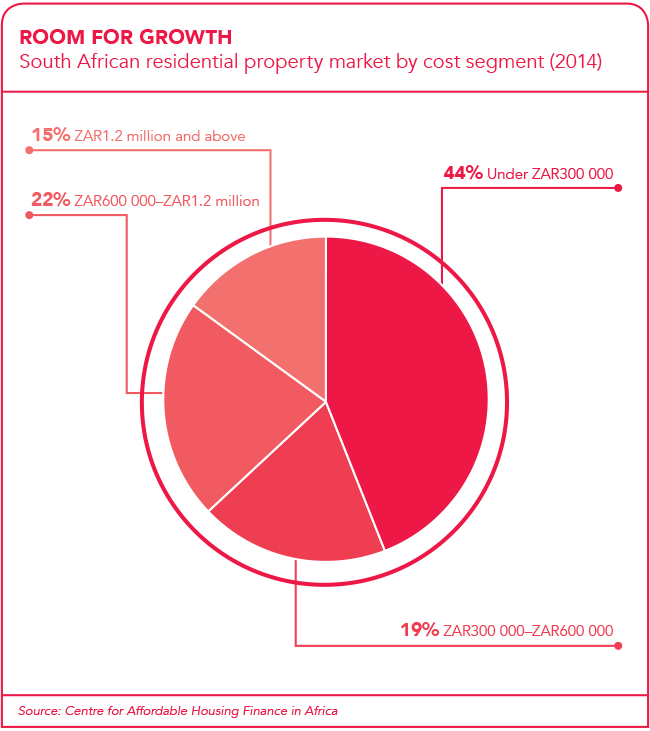 In fact, just under 3% of listed property includes residential assets in South Africa. 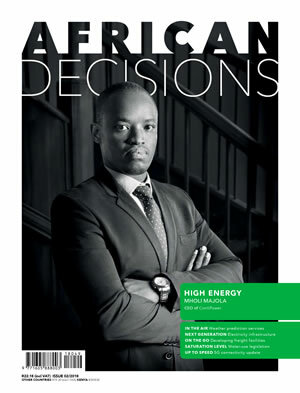 Keillen Ndlovu, Stanlib’s head of listed property funds, explains that only about four firms are notable players in the country’s listed real estate sector. These are Indluplace Properties and SA Corporate Real Estate Fund (which have built affordable or low-cost housing), Balwin Properties (which focuses on sectional title properties) and Octodec Investments (which develops flats in the inner cities of Pretoria and Johannesburg). However, over the past three to five years, with South Africa being over-shopped and a lack of demand for new office space, residential and specialised forms of residential property have gained the attention of real estate professionals. Developers have built up portfolios that could be listed in South Africa. They have also been doing projects in other African countries. A standout construction company that has managed to create low-cost housing and been able to scale its projects is Calgro M3. 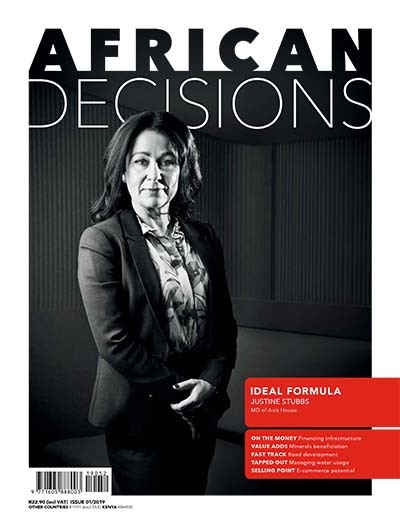 It and various private operators have begun to specialise in low-cost housing, seeing it as a niche residential asset. There has also been a growing interest in entry-level middle-class housing, and Johannesburg Stock Exchange (JSE) listed Indluplace Properties has been successful early on. The company is now the only exclusively residential listed real estate investment trust on the JSE. While historically focused on South Africa, private operators – especially private equity groups – are starting to show a particular interest in other high-growth African economies such as Kenya and Nigeria. In West Africa, Nigeria remains the dominant economy and has the benefit of a population of more than 170 million people. Its biggest challenge has been slow tender and administrative processes associated with affordable housing. But it’s in East Africa where analysts believe the next frontier for the continent’s real estate will emerge. Kenya’s economy grew 6.2% in the second quarter of this year compared with 5.9% for the same period last year, the Kenya National Bureau of Statistics reported at the end of September. The growth was driven mostly by agriculture, forestry and fishing but also by real estate developments. Nevertheless, interest rate growth in Kenya is aggressive. Interest rates rose to an average of 18.15% during the second quarter of 2016 compared with 15.57% in the same quarter of 2015. However, it will take a while for sufficient scale to be achieved in Kenyan affordable housing to justify a listing on the Nairobi Securities Exchange or alternatively for a South African fund to buy Kenyan housing assets and list them on the JSE. Another market that may attract more private equity or local investment is Rwanda but it’s uncertain as to when this will occur. An issue with respect to Rwanda is that, post the 1994 genocide, all land is owned by the state and developers need permission to build on land they don’t own. It will therefore take time for Rwanda’s commercial property market to move to a free market position. Right now, it may be more effective for companies within East Africa to develop property assets and then partner with companies from larger economies so that they can kick-start their sectors. In South Africa, JSE-listed Calgro M3 has created a joint venture with property manager, SA Corporate Real Estate Fund. Investors can take comfort in the fact that both joint venture partners have been impressive performers in the construction and property sectors over the past few years. Calgro, with a market cap of ZAR2.4 billion, has a been a strong performer for investment and has achieved share price growth of more than 1 000% over the past five years. SA Corporate, which has a market cap of nearly ZAR13 billion, has enjoyed share price growth of about 75% over the same period. Calgro and SA Corporate created their joint initiative through Afhco Holdings, a wholly owned subsidiary of SA Corporate, and Calgro Real Estate, which is a wholly owned subsidiary of Calgro M3. The latter will develop residential properties for the joint venture, which may be listed in the future, says SA Corporate’s MD, Rory Mackey. According to Calgro M3 MD Wikus Lategan, his group is able to develop affordable housing at a lower cost than various other companies in SA have managed, and SA Corporate was a top manager of residential property assets with a strong track record. Lategan says the long-term strategy is to acquire further developed and tenanted residential property portfolios from Calgro M3, as well as other developers and the broader market. To begin with, about ZAR1.6 billion in capital is being raised for the Afhco Calgro consortium. 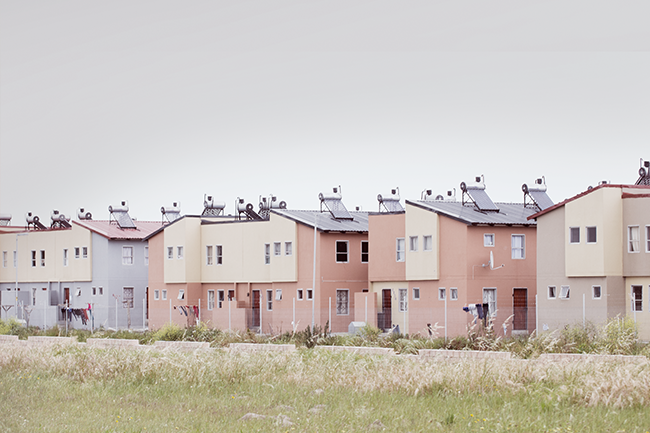 Thereafter various residential properties will be developed by Calgro for the consortium’s portfolio. Meanwhile, Calgro M3 is cautiously expanding its operations outside of South Africa’s borders. In 2014, for example, it was awarded a contract to develop the 2 523 unit Otjomuise project in Namibia. The contract is worth around ZAR800 million. While there are a small number of listed property funds with a residential focus, there is much more scope for development from private companies. One company that will bring more residential exposure for investors is International Housing Solutions (IHS), a private equity group that owns a significant portfolio of affordable housing assets. IHS partners with financial institutions, property developers, private capital groups and the South African government to provide equity finance for various residential projects. It has created some 27 000 new residential units for sale and rent since it launched its first housing fund in South Africa during 2008. The company has mostly funded three-storey walk-up developments, which serve buyers in the ZAR400 000 to ZAR800 000 bracket and tenants who are able to pay a monthly rental of ZAR4 000 to ZAR8 000. IHS’ management team are meeting with various advisors to discuss how much of the company’s assets could be listed in a portfolio and which assets in particular should be included. While housing is proving to be an attractive avenue for some property developers, the rising black middle class across Africa could turn out in time to be the biggest market. One company that is looking to win over black middle-class tenants is Balwin Properties. Balwin is now the largest sectional title developer in South Africa and may shift into other continental markets, including Namibia and Zambia, in the near future. Balwin, however, only enters a market when the population density is high, hence its work has tended to take place in busy metropolitan nodes where middle-class people are looking to live in lock-up-and-go-type housing. CEO Stephen Brookes says he realises that it can be tough to develop sectional title housing in an environment where interest rates and the costs of doing business are rising. ‘Over the long term, I believe a growing [black] middle class will buy or rent our sectional title developments. People want to lock in value now and there is significant demand, even if consumers are under pressure. 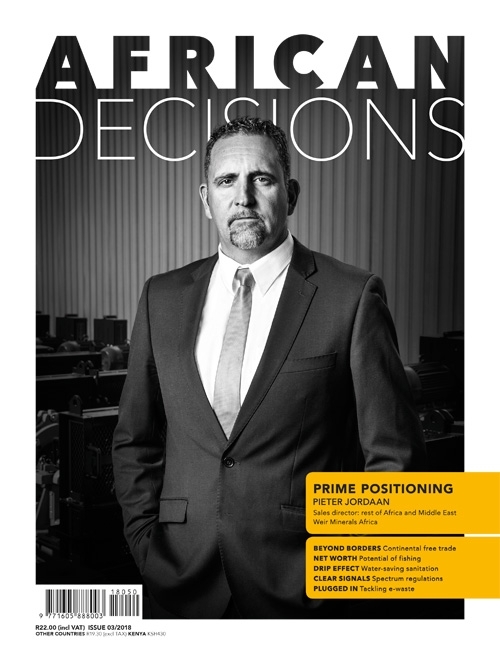 They are attracted to new, well-serviced sectional title living and we provide the best in that field,’ he says. 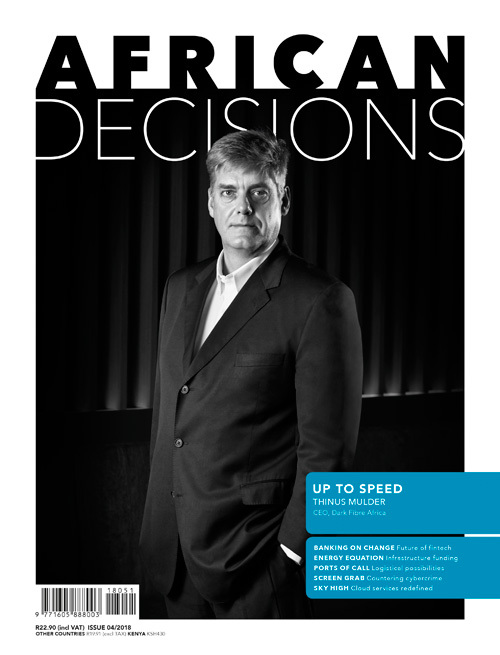 Keith McLachlan, from smallcaps.co.za, says Balwin is the best new listing that he has seen for a number of years. He adds he has been impressed at how Balwin manages the risks in matching building and sales by building in phases of 50 units at a time. Although a long-term vision is required, this sector could turn out to be a lucrative option for patient investors.